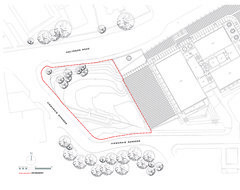 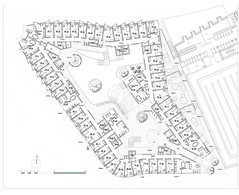 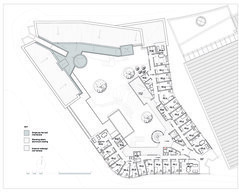 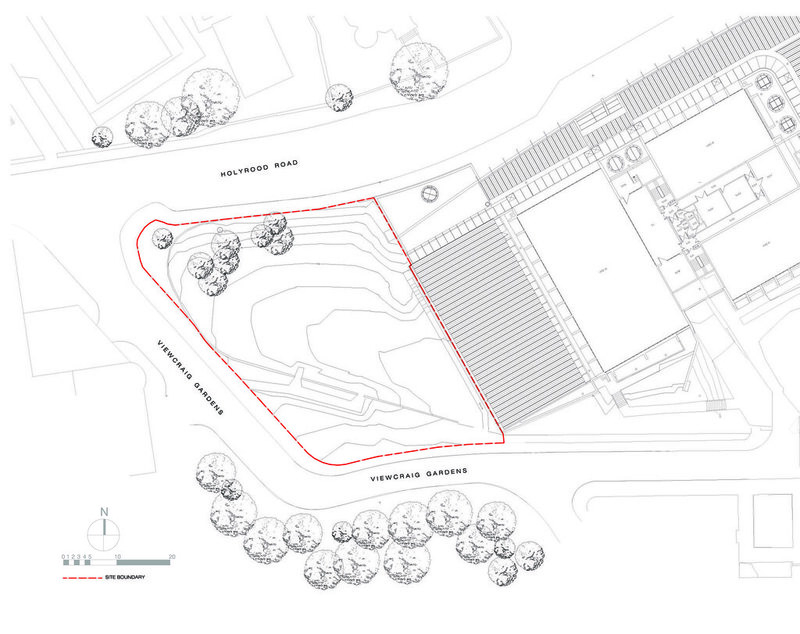 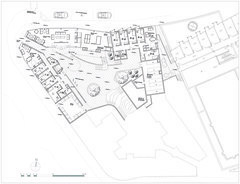 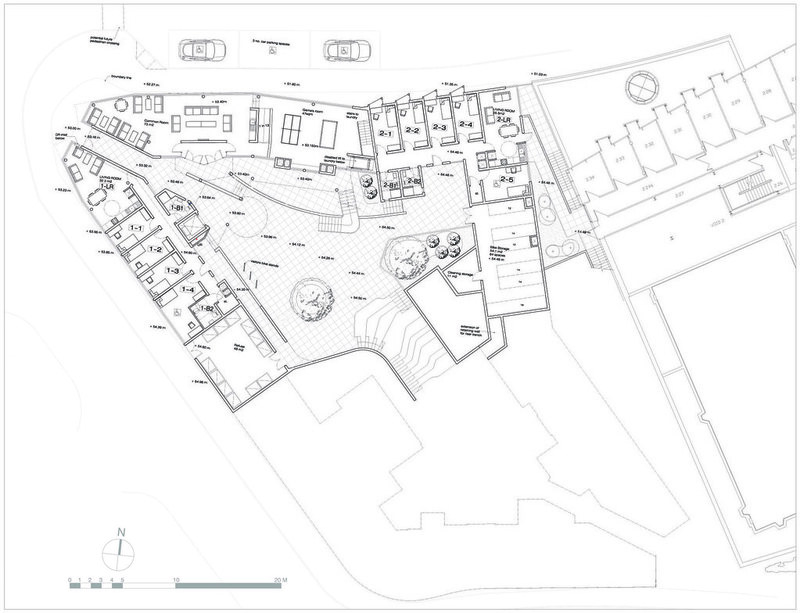 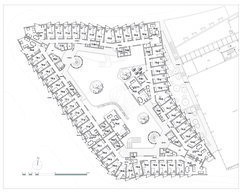 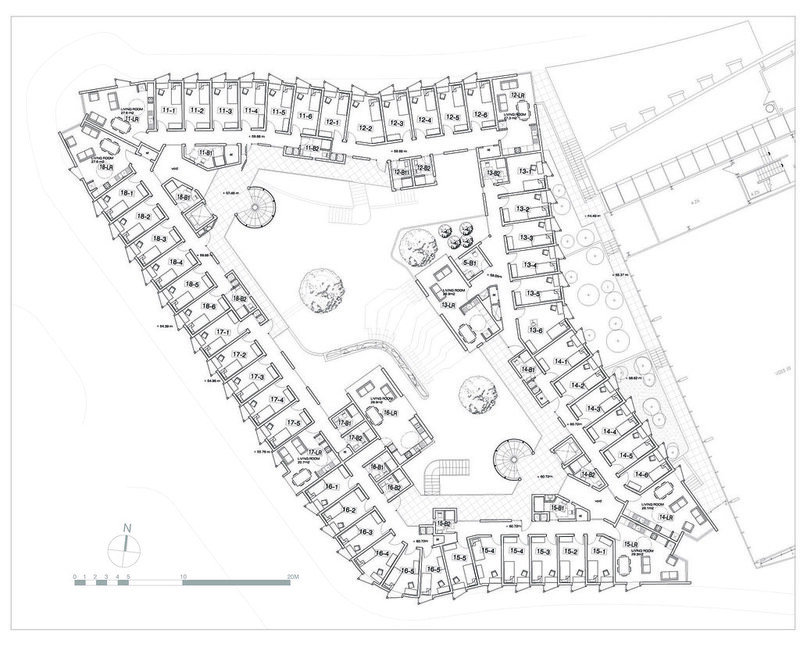 This competition winning scheme for a 248 bed post graduate student housing building represents the first phase of John Hope Architect’s master plan for this section of Edinburgh Old Town. 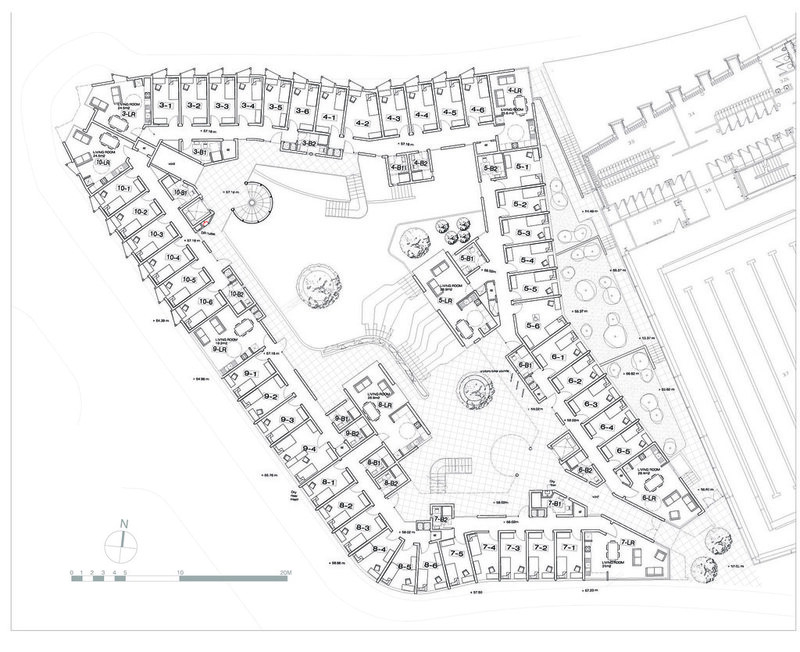 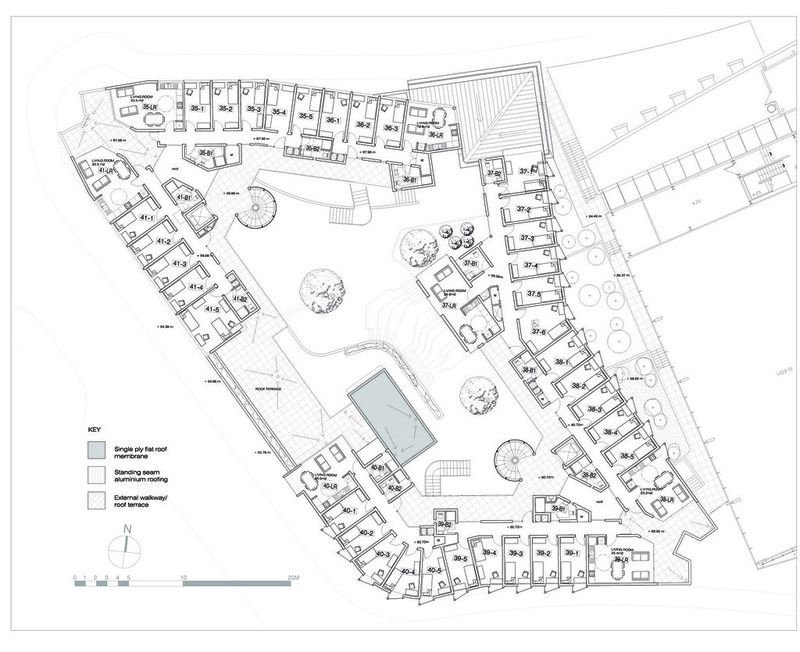 The project consists of generally six person apartments arranged around a sociable courtyard at two different levels with a common room adjacent to the courtyard entrance. 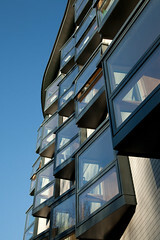 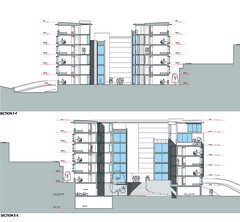 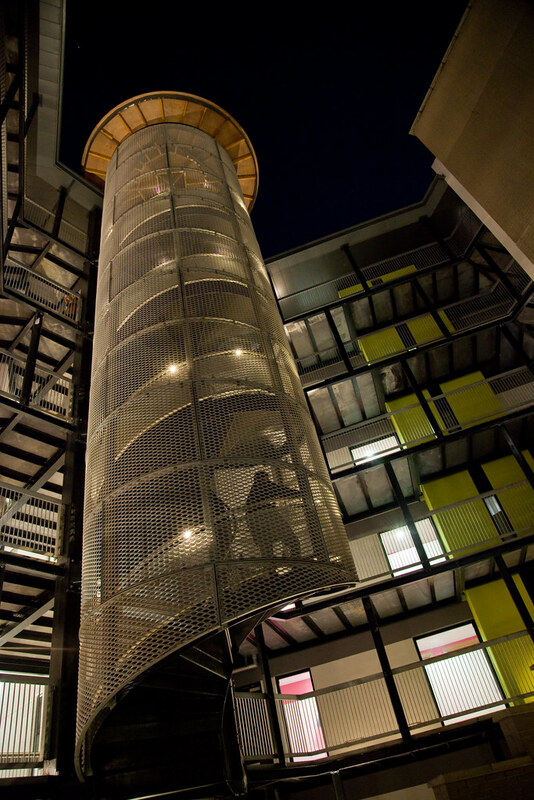 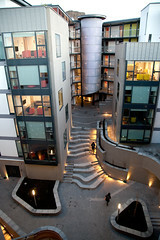 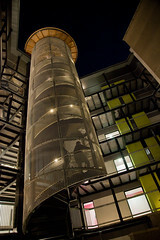 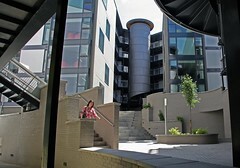 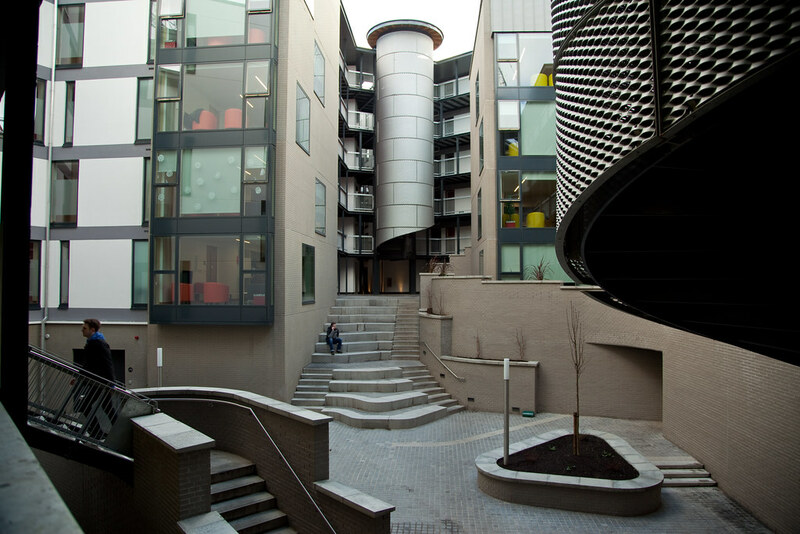 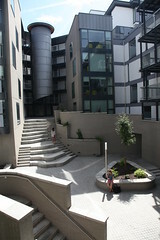 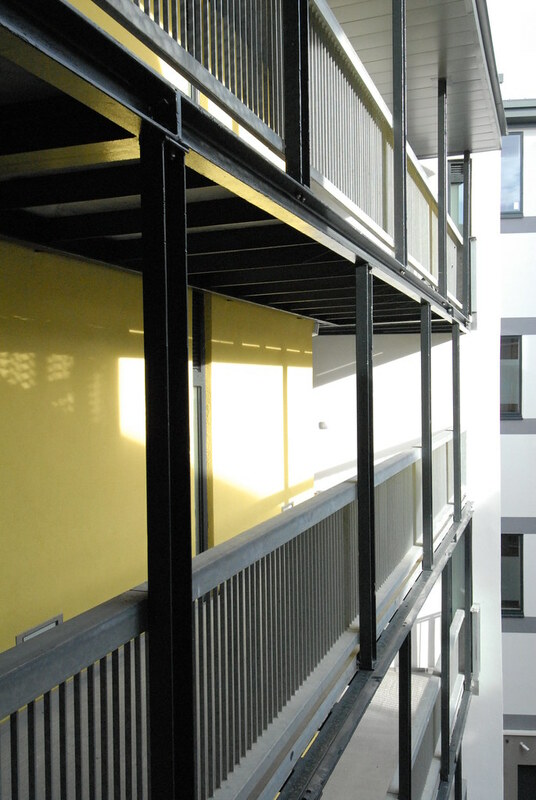 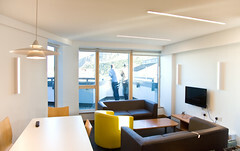 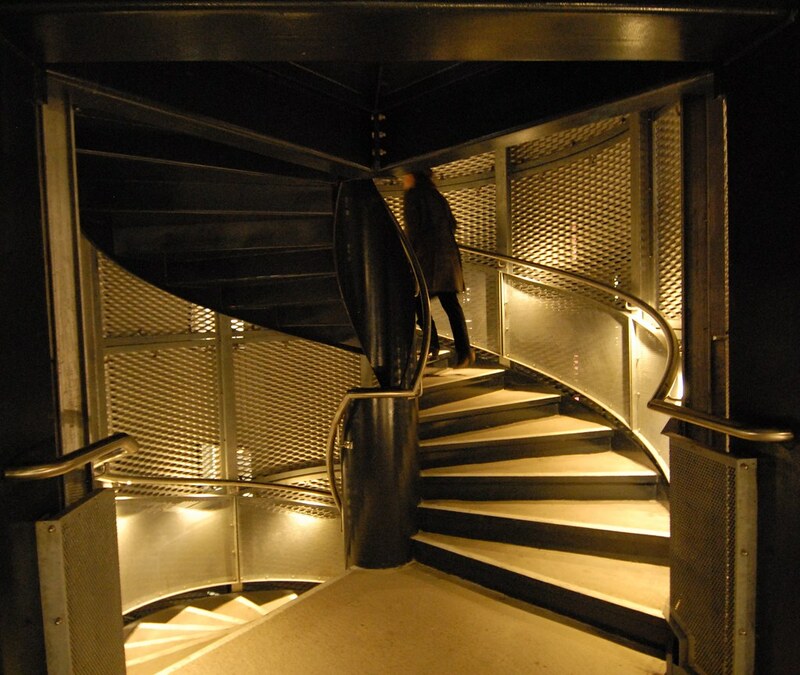 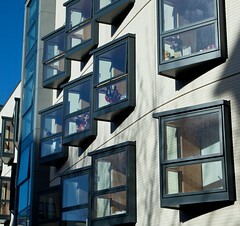 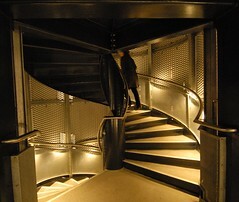 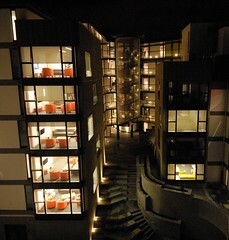 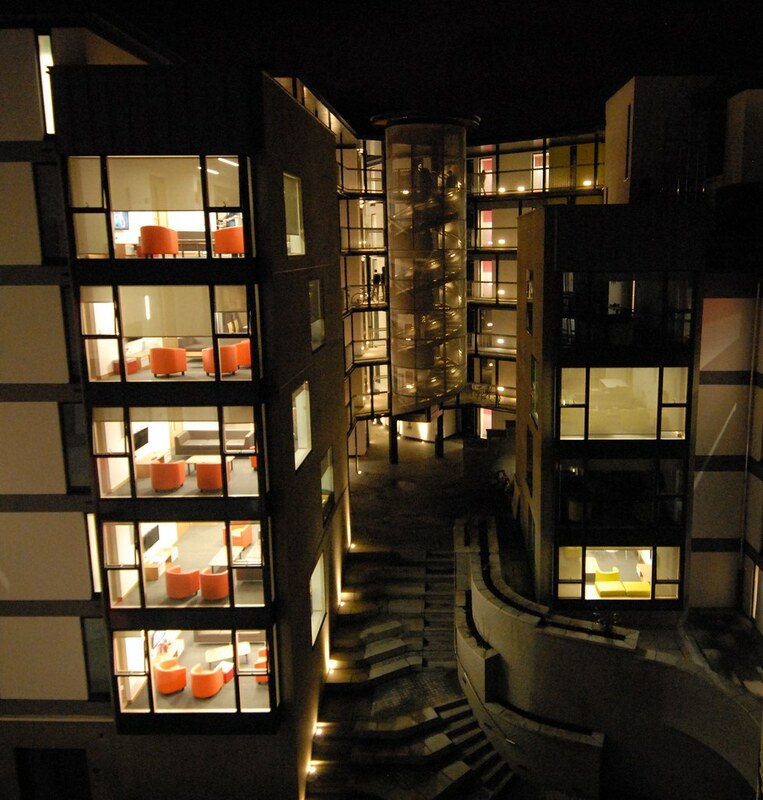 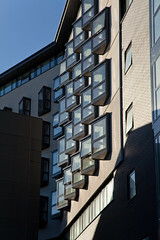 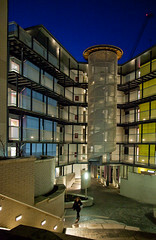 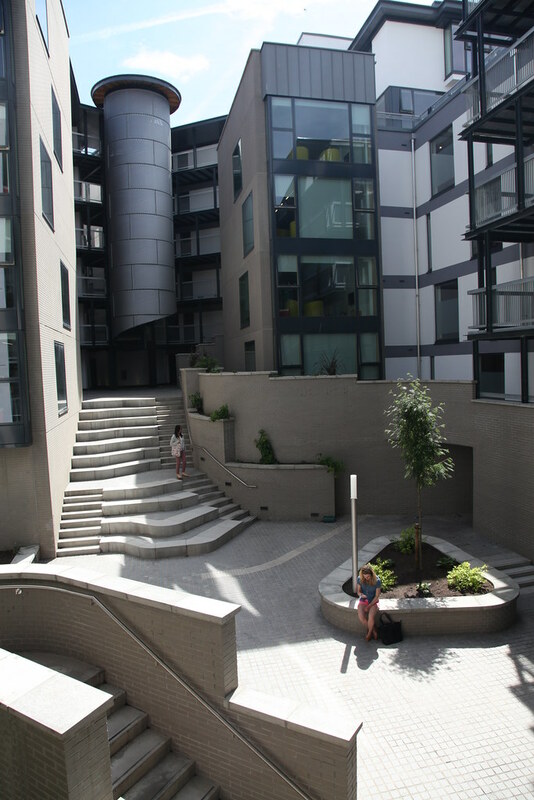 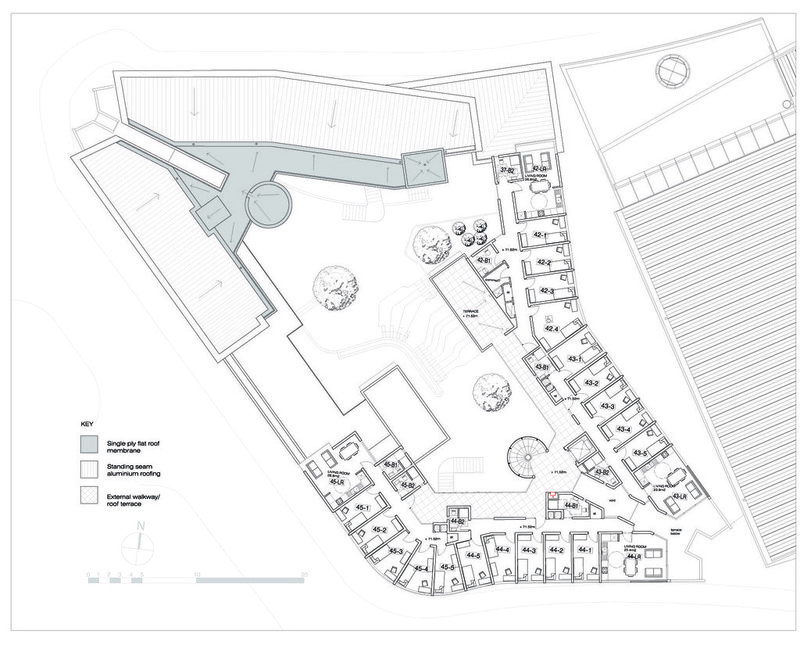 Access to apartments is via broad open balconies and two suspended spiral staircases to encourage student interaction. Most apartments have communal kitchens at significant urban corners and internal circulation is generally daylit and single sided. 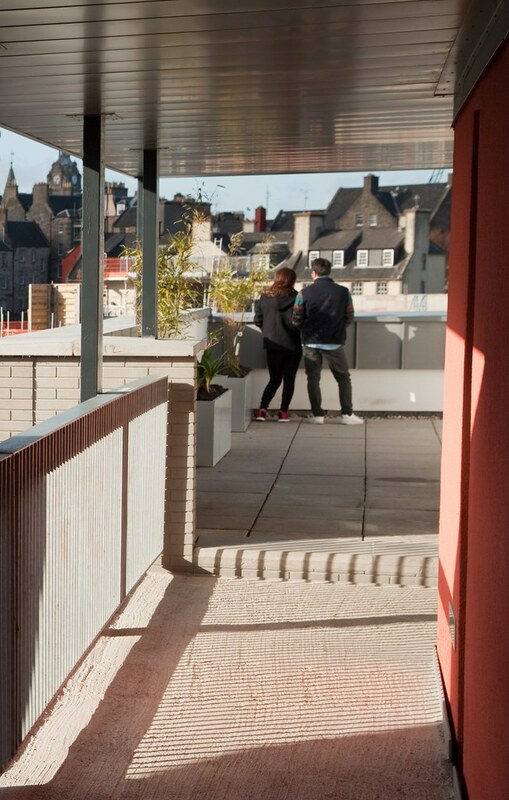 Two roof terraces are available for all students to enjoy. 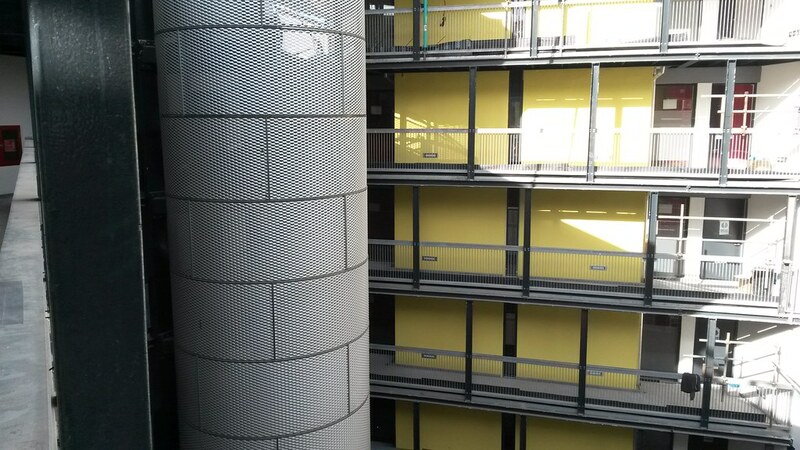 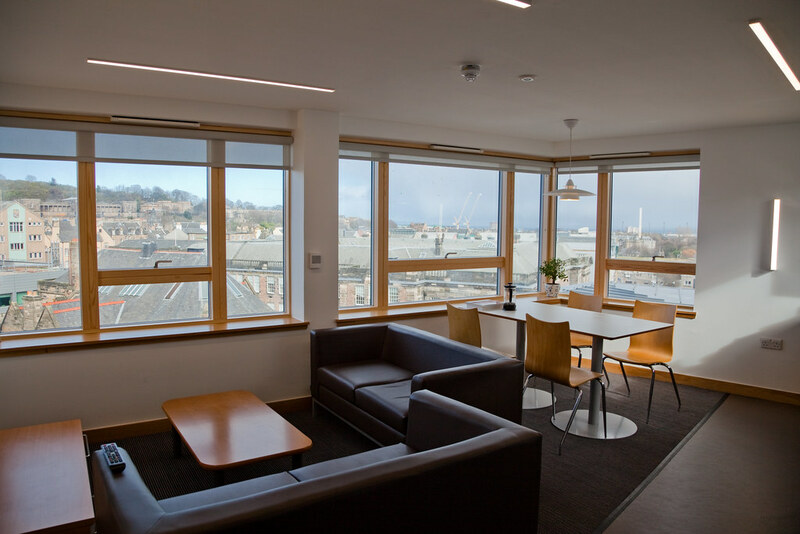 Most rooms have the distinctive projecting window bay which we are happy to see is already being colonised by students as a window seat since the building was occupied in October 2014. 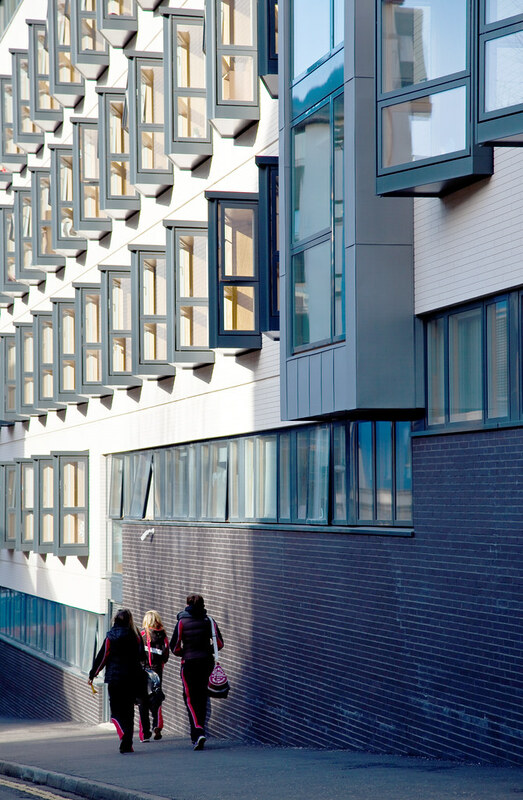 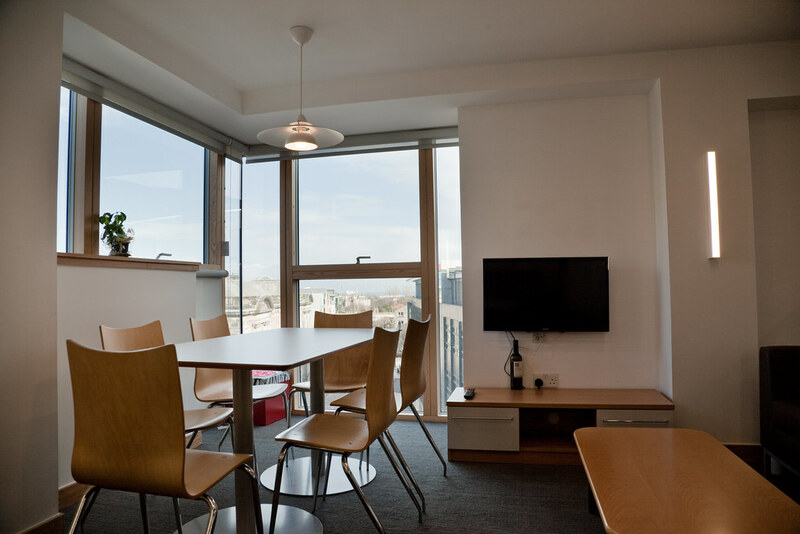 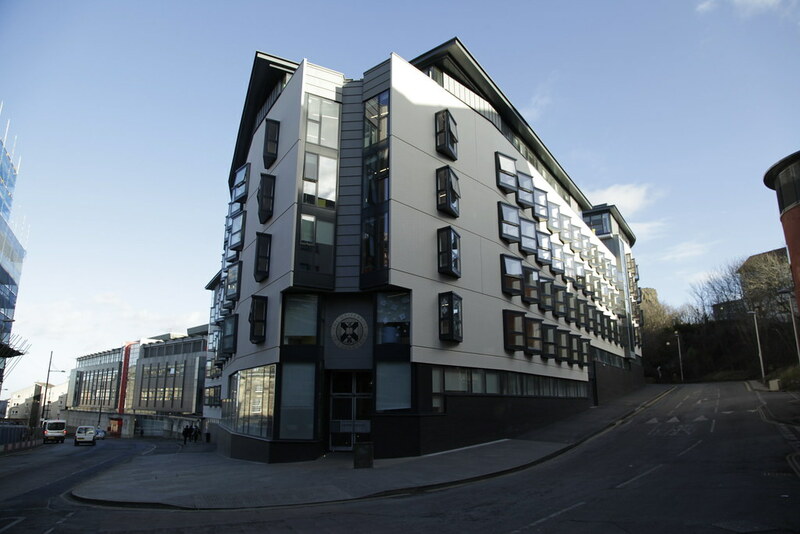 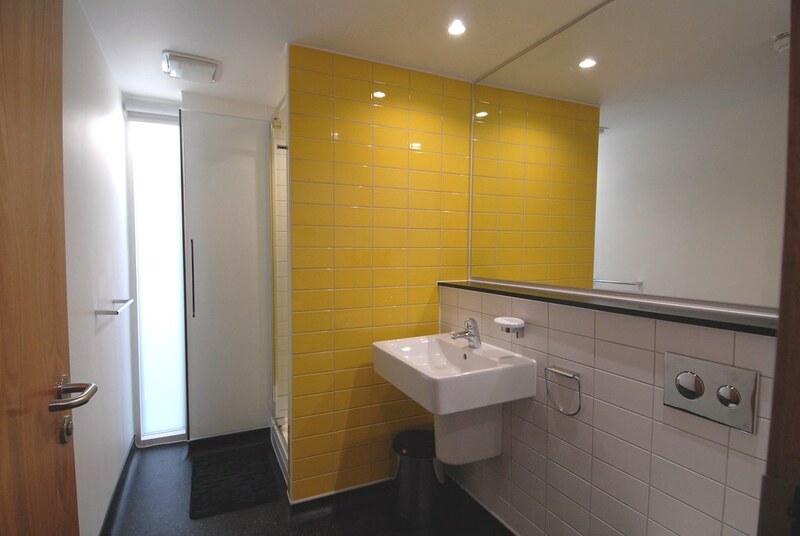 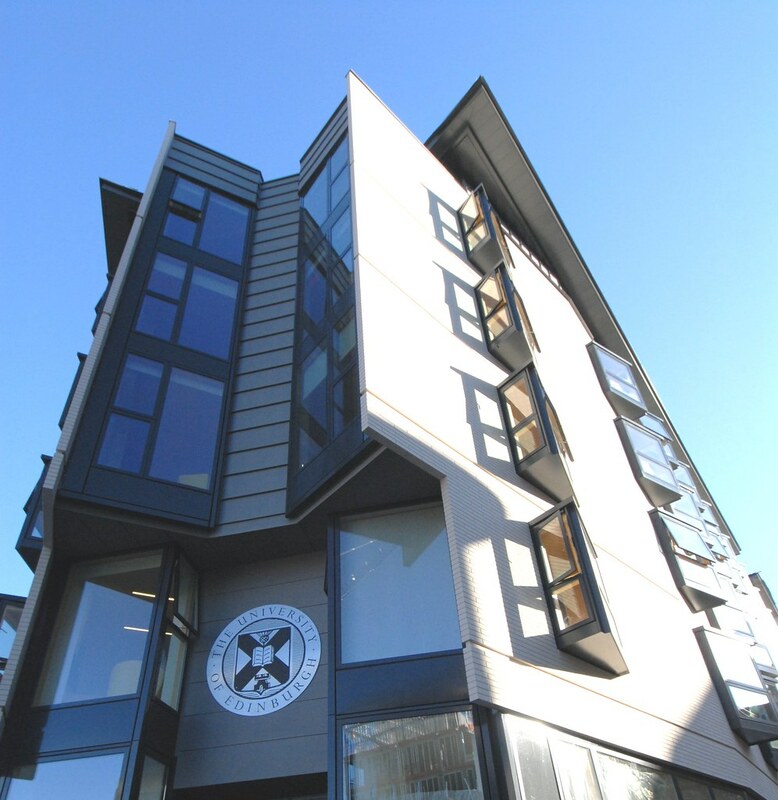 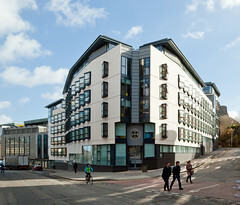 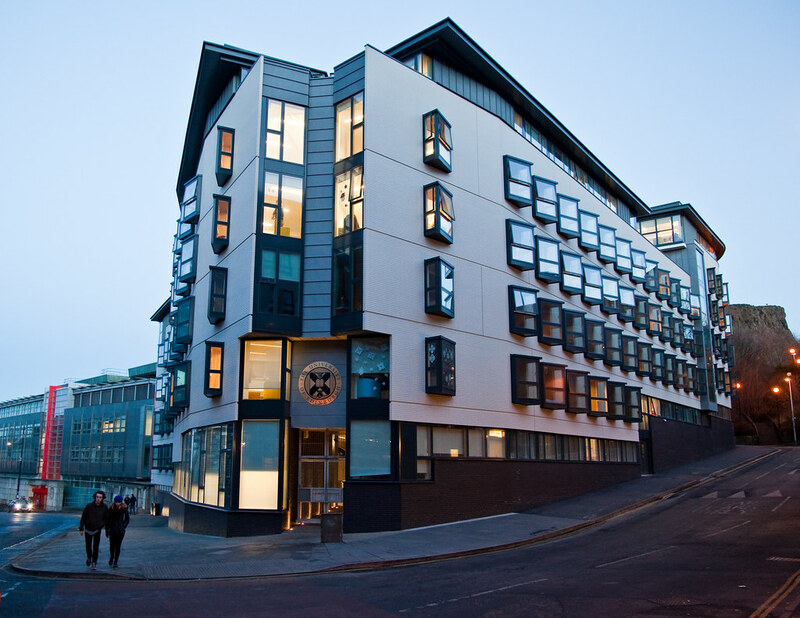 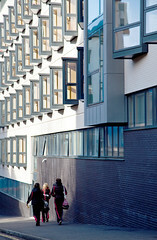 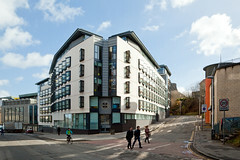 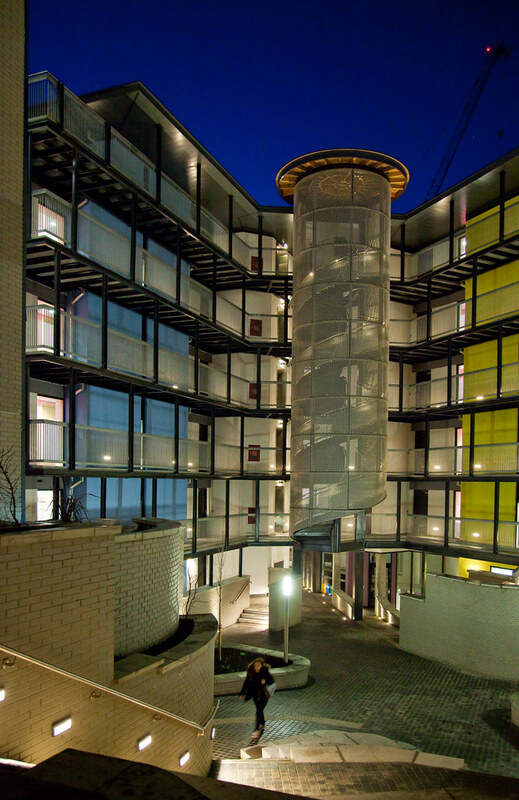 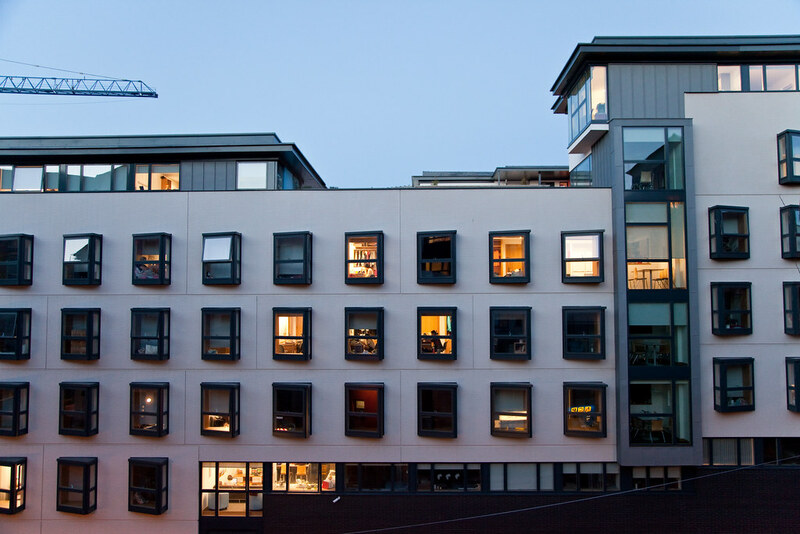 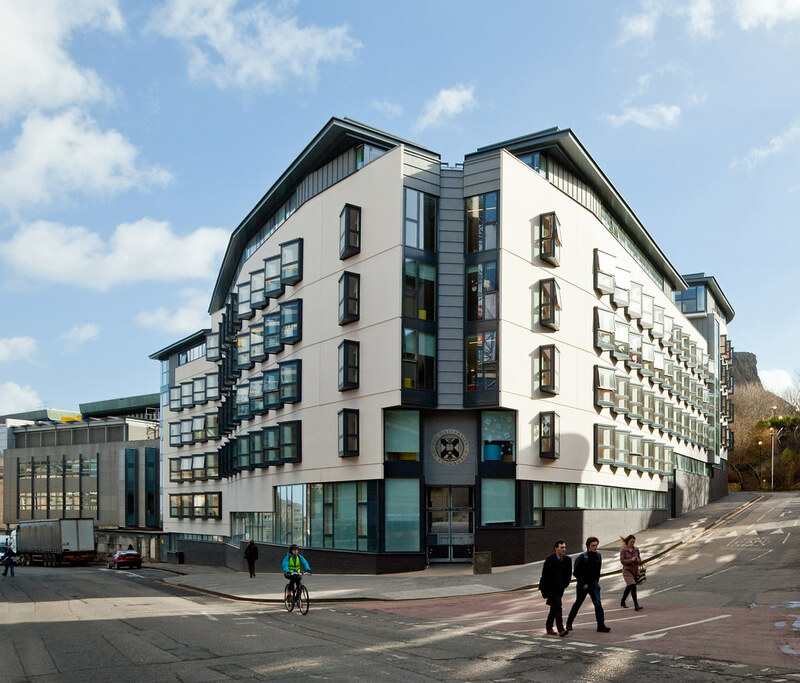 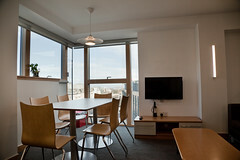 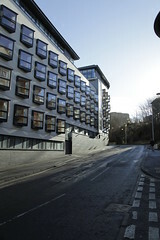 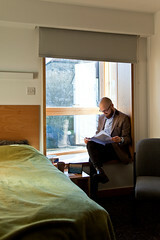 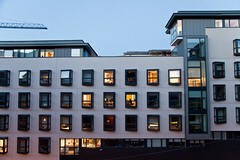 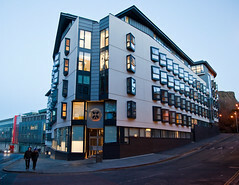 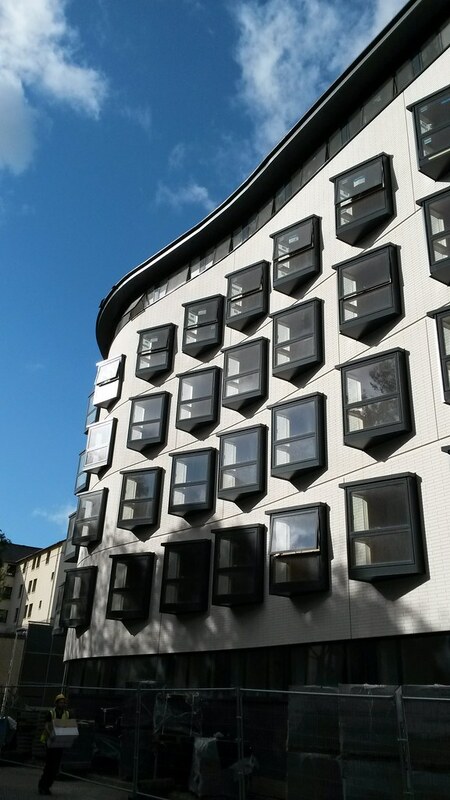 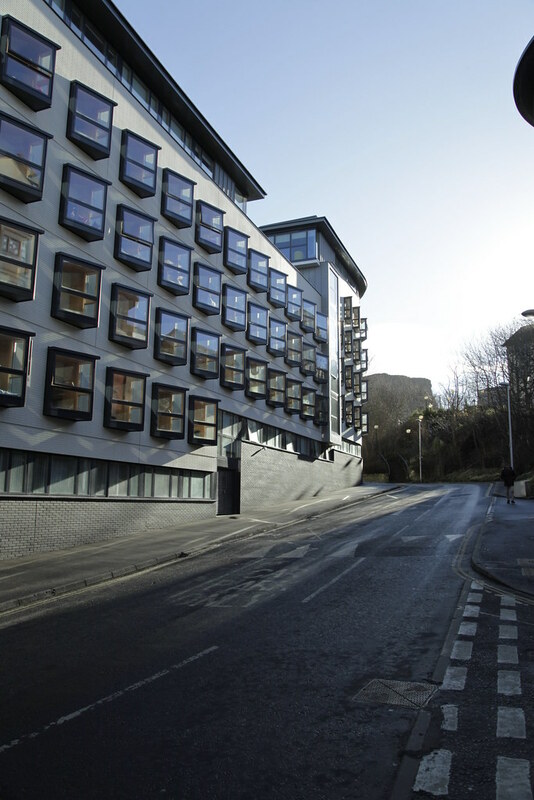 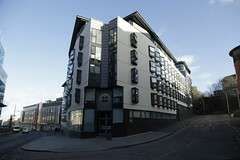 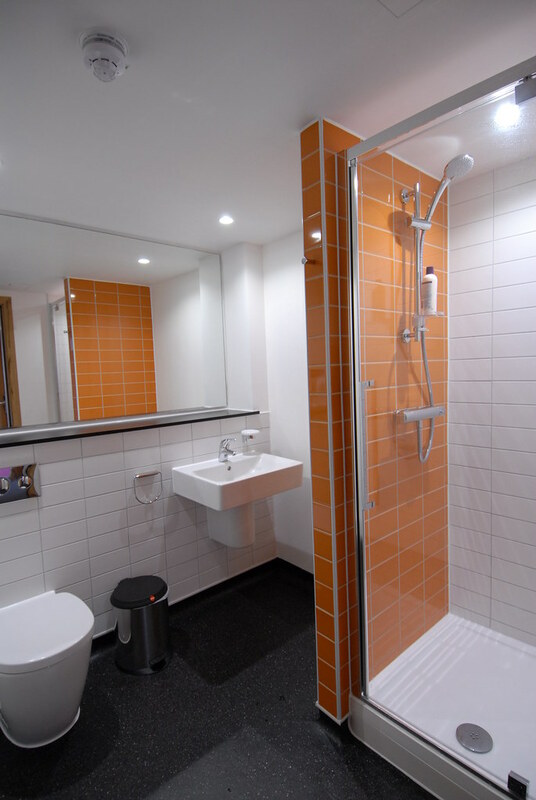 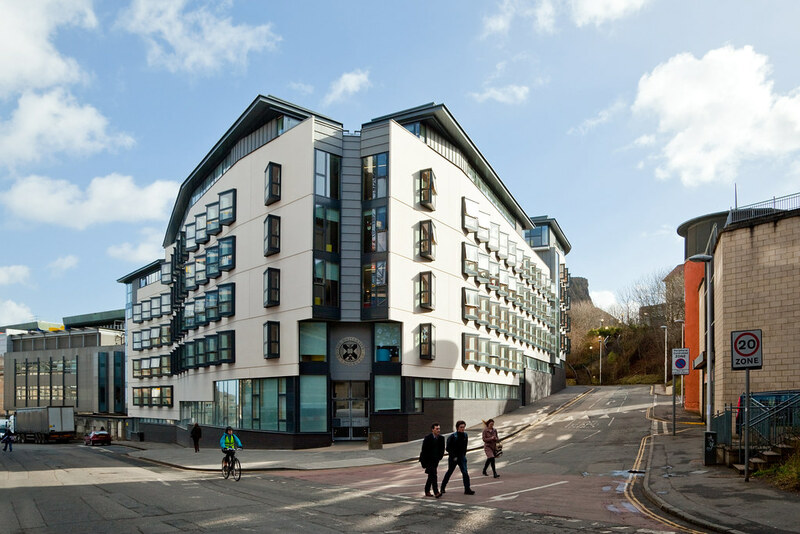 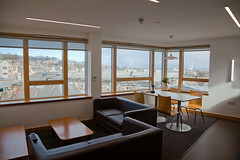 Our Holyrood South post-graduate accommodation for Edinburgh University achieved a BREEAM Excellent rating.